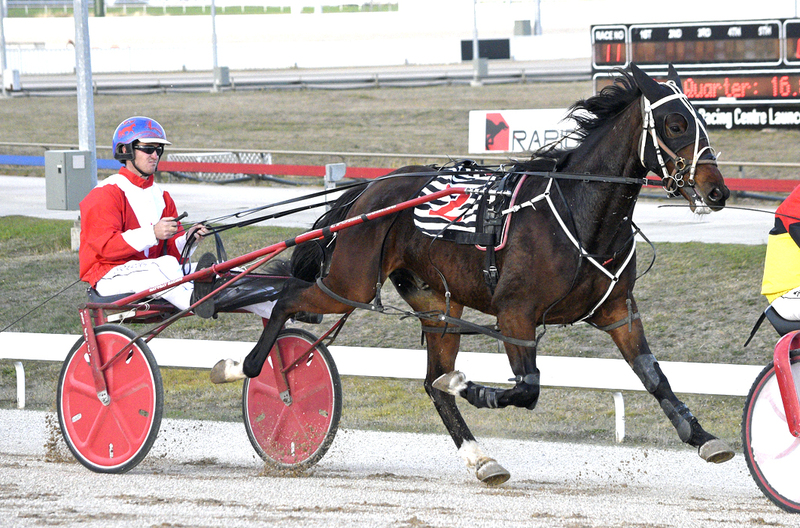 AS CRAZY as it sounds, Ignatius will have to perform better than his recent outing when he competes at Tabcorp Park Menangle on Saturday night. One of 10 runners in the famed Chariots Of Fire, Ignatius earned his position in the field with his victory in last weekend’s Paleface Adios Stake. To say the James Rattray-trained gelding was brilliant in the qualifier would be an understatement. In fact, you almost have to find a new superlative to describe Ignatius’ effort! Caught three-wide early from barrier 10, Ignatius was eased forward to test the leader, Chase Auckland, from the ‘death seat’. With the pair matching strides along the home straight, the son of Roll With Joe took the lead in the last stride, scoring by a half-neck from Chase Auckland, with Rackemup Tigerpie a neck away third. Covering the last half in 53.2 seconds, Ignatius stopped the clock in 1:50.2 over a mile. “It was a terrific run from him,” Rattray said. “He was second-up since the Breeders’ Crown in August and had improved a bit between runs. Regarded as the pre-draw favourite for the Group One, Ignatius has slipped slightly in the market after again drawing wide. This time around the four-year-old has received barrier nine, but slots into eight with the removal of the emergency. With Chase Auckland drawn ideally in the pole, he has been installed a $2.50 TAB Fixed Odds favourite, with Ignatius the second elect at $3. “He has pulled up a treat from his run the other night and is feeling great,” Rattray said. “He’s had an interrupted preparation going into the first Chariots qualifier, but has come along nicely in the past couple of weeks. “After a couple of runs back and some solid tack work he will be at his peak. “The draw is not what I’d want, but it is what it is. Selecting Chase Auckland as the one to beat, Rattray also rated Poster Boy highly. Part of the dynamic Emma Stewart stable, Poster Boy has drawn barrier eight and is expected to begin from gate seven. Unbeaten from two starts this season, Poster Boy is no stranger to Group One glory at the venue having captured last term’s New South Wales Derby.